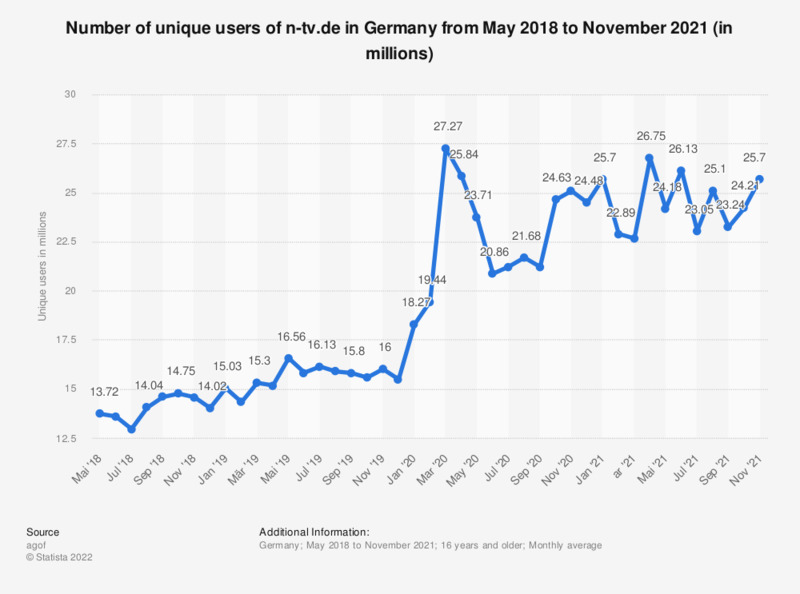 This statistic shows the number of unique users of n-tv.de in Germany from January 2018 to January 2019. In January 2019, roughly 15.03 million visitors accessed the news website. Until April 2018, figures were based on a population of 10 years and older.